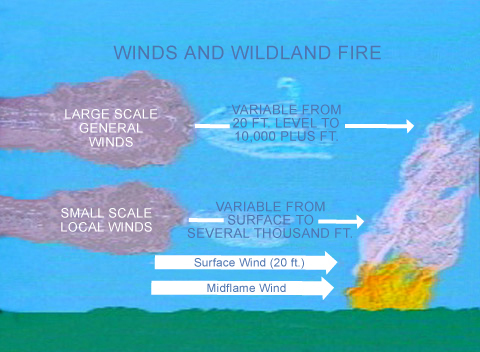 Forests break the force of air currents and moderate wind speeds in areas lying on the lee side of the wind, this offer good protection against cold and hot dry wind so wind velocity is affected by the friction of the surface asmooth horizontal surface will offer free passage to the wind with it is fall speed ,while the yough surface of tree crowns with their different heights and shapes provide arough surface that would hinder the movement of the wind and reduce it is velocity .The forests action in reducing lwnd velocity is known as the wind beak effect or the shelter belt effect which provides protection to land on the lee side . The effect found it is application in agricultural farms in which crops are protected from cold and hot wind by rows of trees known as ashelter belt the shelter belt reduces wind speed on adistance egual to about thirty times the height of the trees, the reduction of wind speed has agood effect on reserving soil moisture and atmosgheric humaelity and the protection of flowers.All these effects increase crop yields .The most important is the protection of the soil against wind erosin . Soils vary in their reaction to exposture to the force of wind ,heavy clay soils with large crumb structure are less susceptible .Sand is blown in the form of sand storms or drift in the form of sand dunes .